Many people have fear leading a small group. Some are afraid that they don’t know enough. Others have a fear of being the lead person in a group. Small groups are not designed for a leader to be a lecturer, but simply a facilitator. In order to facilitate a small group, one of the keys to success is knowing how to ask questions. The small group the facilitator’s role is to start conversations. 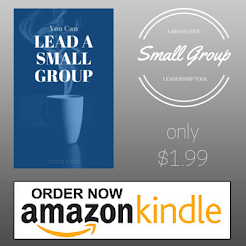 Most small group studies have a leader’s guide so questions are already in print for them to read. When there is no leader’s guide, simply knowing how to ask questions can get the conversations going. Questions need to provoke thought. Questions with a simple yes or no answer do not open up conversations. Ask questions that allow someone to comment. Once those details are out in the open, the leader is able to move to other questions from that response or introduce another question that may be related to the previous answer. Always ask questions so that everyone in the group can relate to them. Usually most people have the same questions on their minds, but they don’t want to be seen as the only one with that question. Word questions to the entire group and try not to target one person in the group. When the leader uses their own experiences as a starter is not only helpful, but also shows transparence to the group. Once a question is out on the table, do not be afraid of silence. Many times silence is seen as awkward and leaders are in too much of a hurry to break the silence. Leaders must give people time to think about their answers and understand that someone else will soon feel too awkward about the silence to allow it to continue. If the leader feels comfortable enough he or she can call on someone to answer. I recommend that this be done as asking for a favor, more than a command. Lastly, be gentle in your requests. When a leader prompts for an answer, he will be more likely to get someone to answer if they see their answer as being performed as a favor to the group or as helpful from the experience they have. The leader should not press, but can push a bit if he knows that this person has some experiences that the others do not. Remember, having all the answers is not the key to being a successful leader. One just needs to put the questions out on the table for the group to answer. Getting your group to talk is easy. Getting them to talk about what you want just takes a little prompting when you know how to ask the questions.